The movie was brilliant, as it helped everyday people make sense of the complex shenanigans that caused the crisis. The book is even better, an indispensable resource for anyone trying to understand the potpourri of derivatives at the centre of the mess. 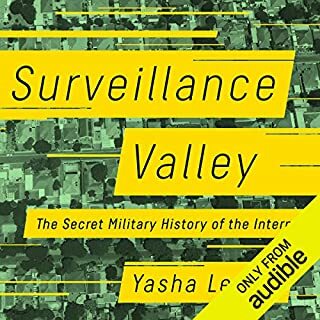 This book is the ultimate eye-opener, about the ubiquitous network infrastructure that controls the world. Because I believe I should look for the good in everything, I will say the recipes at the end of each chapter are great. The rest is GARBAGE. It should be terrifying to everybody that CIA officers can be so indoctrinated into a belief that Russia represents pure evil, as this author is. He uses a psychological condition to not-so-subtly paint the CIA as the epitome of goodness and right, and Russia and Putin as evil. Sorry, the greatest evil perpetrated in the 21st century was the illegal invasion of Iraq on deliberate lies, and that was the CIA. Russia and Putin were in the right on that defining event. The CIA mindset revealed by this book is why the world is on danger of a nuclear showdown. 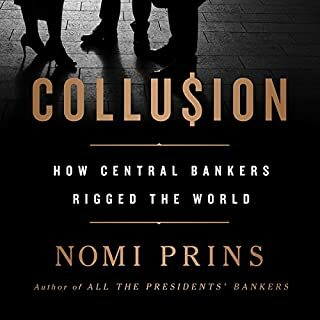 Nomi Prins has amassed the evidence to prove that, since the 2008 crash, most of the world's central banks, except China's, have colluded to prop up the private banks that caused the crisis, at the expense of the public who were the victims of the crisis. 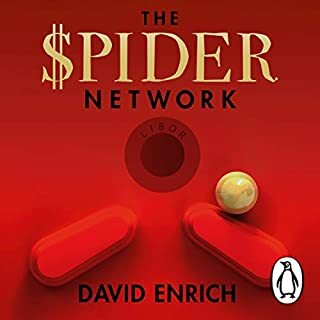 Collusion proves the system needs a major overhaul, beginning with a Glass-Steagall separation of banking that serves the real economy, from the mess of speculation and derivatives that is the cancer in the global financial system. There's no one quite like John Safran. Perhaps not intentionally, he stamps his personality over this attempt at a true crime story, which makes it both riveting and hilarious. And his personal narration is essential. 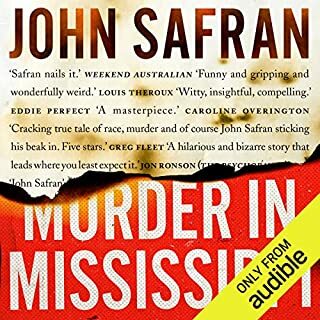 I've come to the conclusion that only John Safran can ever narrate a John Safran audiobook. A masterpiece of thorough and original research. The mysteries of banking power fuel countless conspiracy theories about how the banks control politics. 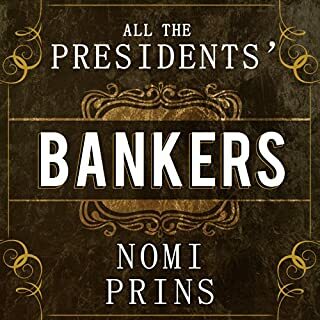 Through thorough research, Nomi Prins demystifies the interface between the USA's leading bankers and their contemporary presidents over the past century. She lays bare the manipulations that advanced banking power, but also demonstrates how, in the case of FOR, a strong president committed to the general welfare of the population, was able to bend the bankers to his will. 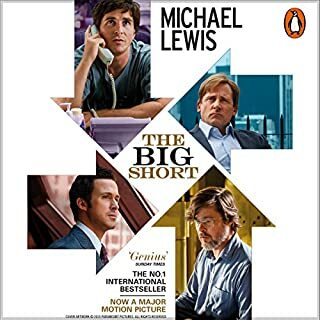 This book confirmed to me that the FED model must be revived, if the world is to recover from the present financial quagmire. The United States has elected a volatile demagogue as president, backed by his ruthless chief strategist, Crawford 'Mac' McNamara. When a war of words with the North Korean regime spirals out of control and the president comes perilously close to launching a nuclear attack, it's clear someone has to act, or the world will be reduced to ashes. 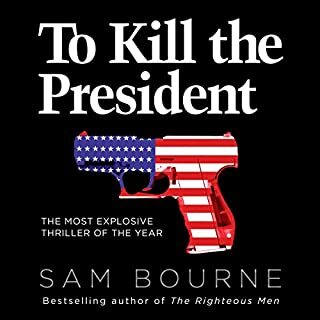 Soon Maggie Costello, a seasoned Washington operator and stubbornly principled, discovers an inside plot to kill the president - and faces the ultimate moral dilemma. Jonathan Freedland, establishment shill that he is, has projected the nightmare fantasy of mainstream liberals that Trump is evil incarnate, and therefore his assassination is justified. 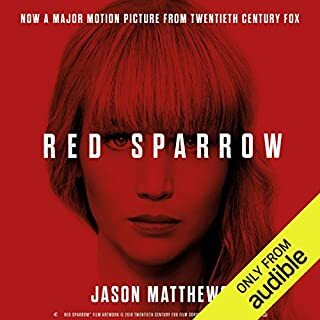 Although the hero makes a token effort to stop the assassination, nevertheless the reader/listener is effectively incited to want the killing to succeed, in the way we wish Hitler had been assassinated. Freedland doesn't even try to disguise his presidential character is Trump. The author's political commentary, including his vicious attacks on the anti-war UK Labour leader Jeremy Corbyn, who is virtually the opposite of Trump but nevertheless also a political outsider, show he is not a normal author, but has an agenda, which is to defend the establishment. Therefore I regard the intention behind this book as dangerous. That said, it gets humorous in parts. For instance, the assassin reassures himself that only conspiracy nuts will think the assassination is a conspiracy, when in fact that is exactly what it is! Freedland is on record ridiculing JFK conspiracy theorists, yet he can only make his assination story credible by making it a conspiracy. Otherwise, the narration is excellent.